As a consequence, education became a critical tool for the Nazis. The NSDAP government used the state education system to disseminate Nazi ideology, enhance loyalty to Hitler and prepare millions of German boys for military service. During the mid-1930s, the Nazis established a party-controlled education system. It began by forming its own teachers’ union, the Nationalsozialistischer Lehrerbund (Nazi Teachers’ League). Teachers of Jewish origin, liberal or socialist political beliefs were bullied and frog-marched out of the profession; non-Nazi teachers were pressured to join the Nationalsozialistischer Lehrerbund or face losing their jobs. As the Nazis infiltrated schools, they shaped the curriculum to convey their own values and political beliefs. At the forefront of the Nazi syllabus was racial education, ‘enlightening’ children about Aryan supremacy and the despicable traits of untermensch (sub-human people and races). History became the most important subject in this process. Pro-Nazi histories were filled with tales of Germanic heroes and warriors, political leaders and military conquests, reinforcing the myth of Aryan supremacy. In geography, German children learned about the unfair Treaty of Versailles, the inequitable re-drawing of European borders and the need for lebensraum (‘living space’) for the German people. Physical education and sport were also priorities. Other academic subjects, such as mathematics and the sciences, were neglected in contrast. The Nazis did not rely solely on schools for the indoctrination of children. Much better known to history are groups like the Hitler Jugend (Hitler Youth), a Nazi-run organisation partly inspired by the British scouting movement. Like many NSDAP departments, the Hitler Youth was not systematically organised but evolved and changed over time. The Nazi movement had contained a handful of youth groups since 1922, organised at local levels by individuals from the Sturmabteilung (SA). There was even a degree of competition between these groups, with each claiming to be the NSDAP’s ‘official’ youth movement. In July 1926 a young party member, Kurt Gruber, established the Hitler Youth and worked to integrate it into the SA. 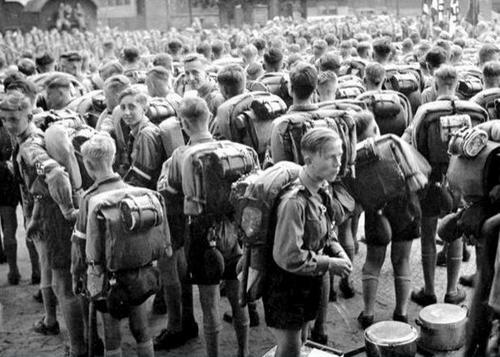 By 1930, the Hitler Youth contained more than 25,000 boys between the ages of 14 and 18. It served as an important feeder group for the SA, while some members of the Hitler Youth occasionally participated in SA-orchestrated protests, pogroms and street violence. Hitler’s rise to the chancellorship in 1933 prompted a significant spike in Hitler Youth membership. The Nazi leader appointed Baldur von Schirach as Reichsjugendfuhrer (German youth leader) and tasked him with expanding and organising the group on a national level. Under von Schirach’s leadership, the Hitler Youth adopted and embraced the same symbols, culture, psychology and appeals to nationalism employed in the SA and Schutzstaffel (SS). As German schools were infiltrated by Nazi propaganda in the mid-1930s, they were also used to promote and expand the Hitler Youth. Many schools became feeder groups for the Hitler Youth, with children pressured into joining. 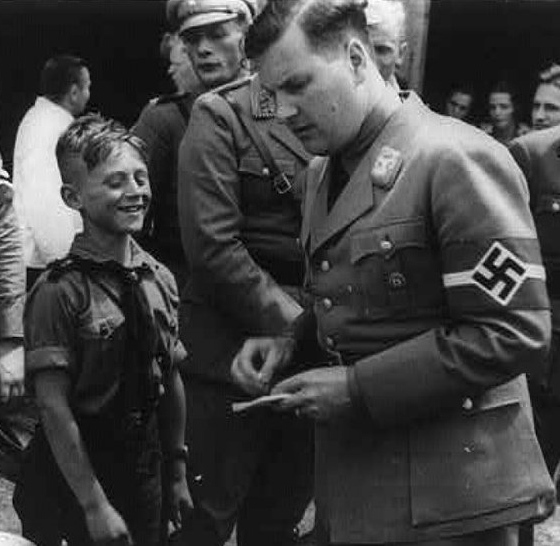 The Nazis also funnelled children into the Hitler Youth by banning alternative or rival groups, such as the Boy Scouts and various Catholic youth leagues. The membership of these banned groups was often acquired and swallowed up by the Hitler Youth. By the end of 1937, the leadership of the Hitler Jugend claimed it had as many as five million members or 64 per cent of all German adolescent boys. Beneath the Hitler Youth were several organisations for younger boys and girls. Pimpf was the most junior branch, its membership open to boys between the ages of six and ten. Pimpf boys completed community service, physical activities and outdoor skills such as camping. Like their comrades in the Hitler Youth, members of Pimpf were also subjected to lessons about Nazi values and political views. They had to memorise the group’s handbook, Pimpf im Dienst (‘Young Ones in Service’) and pass exams before ‘graduating’. 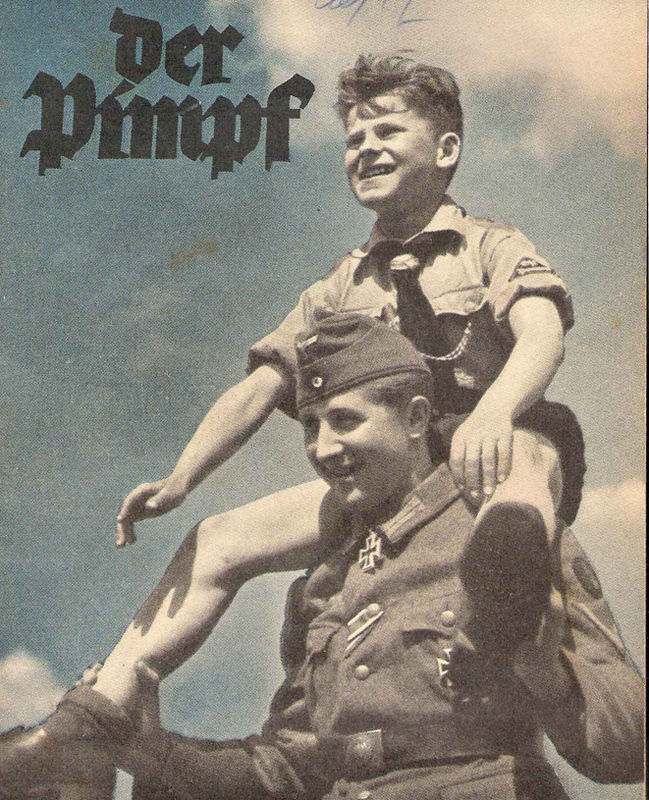 At age ten Pimpf members could join the Jungvolk, the precursor group to the Hitler Youth. There were also separate groups for girls, including the Jungmadelbund (the ‘German Girls’ League’, for girls aged 10-14) and the Bund Deutscher Madel (BDM, or the ‘League of German Maidens’ for girls aged 14-18). While the Hitler Youth prepared boys for military service, the various girls’ groups prepared their members for lives as wives, mothers and homemakers. There was significant emphasis on the importance of German mothers, both as racial progenitors and the nurturers of Aryan children. Girls in the BDM completed activities like sports and callisthenics, intended to enhance fitness, strength and beauty. There were also classes on grooming, hair and make-up, needlework, German traditions – and, of course, Nazi ideology and values. 1. 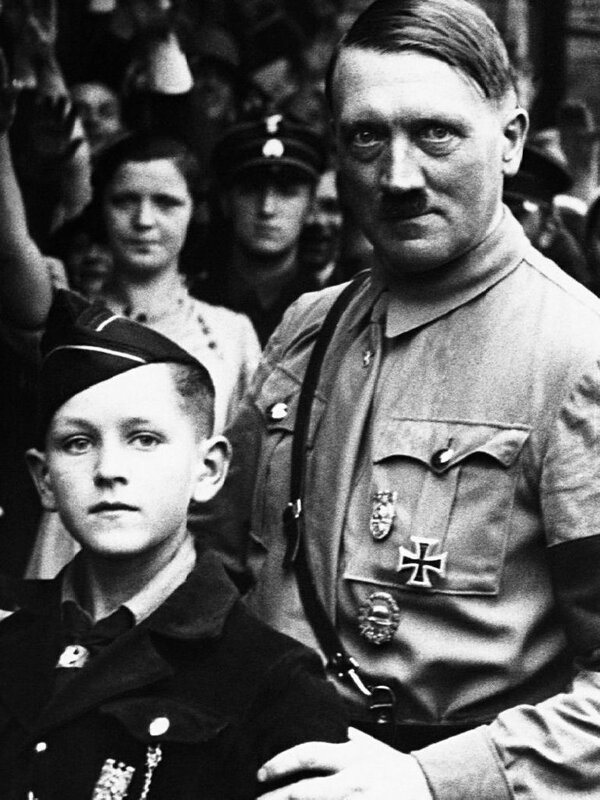 Adolf Hitler placed great value in German children. He viewed them as essential for ensuring loyalty for the NSDAP and securing the future of his imagined Third Reich. 2. After taking power the Nazis began infiltrating schools and education, removing Jews, socialists and others from the teaching profession and revising the curriculum to include Nazi ideology and values. 3. Nazi youth policy also revolved around several party-run youth groups, such as the Hitler Youth for boys aged 14-18. These groups began haphazardly but were eventually organised on a national level by NSDAP leaders. 4. Nazi youth groups combined paramilitary style training and skills with National Socialist teachings and indoctrination, such as worship of Hitler and the significance of racial purity. 5. There were also several NSDAP-run girls’ groups, such as the Bund Deutscher Madel or BDM. These groups also circulated Nazi ideology and reinforced traditional conceptions about the roles of women. J. Llewellyn et al, “Children in Nazi Germany”, Alpha History, accessed [today’s date], https://alphahistory.com/nazigermany/children-in-nazi-germany/.